Beyond the Intranet: Governance (Part 3 of 4) - Eloquor Consulting Inc.
Are you getting the most from your intranet? Is your intranet becoming the center of your digital work experience? Is it a critical business tool? Or, is user experience all over the map, quality content elusive and outdated content busting out at the seams? If you aren’t getting what you need from your investment, or are preparing for a major migration or upgrade, now is the time to ensure the way you oversee, manage and measure is really working. Most of us who consult in intranets refer to this as “governance.” Governance includes the systems, policies, processes and people who make the intranet or digital workplace successful. In April, I’ll present a four-part webinar series for Communitelligence called Beyond the Intranet. The third session will focus on governance. I encourage you to join me, but in the meantime, here are some initial thoughts about governing this most important business tool. Many IT departments do a terrific job outlining governance for the technology hardware and software. This is vitally important in managing licensing costs, technology change decisions and technical resource requirements. Governance, however, goes beyond this narrow view. It must include content and user behavior. Governance is both strategic and tactical in nature. It includes everything from how often content is reviewed, to consequences for online harrassment, to templates that control font usage, to budget and scheduling decisions. Even the process of measuring and reporting on success is part of governance. 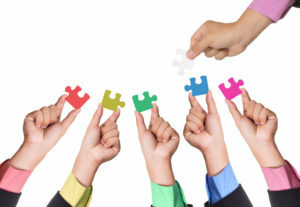 At it’s core, developing great governance is about engaging the right people in providing all the right puzzle pieces. Who are the right people? I counsel clients that it’s not about the individual’s title or level; it’s about what he or she can contribute. You might also include those who stand to serve as unique barriers to success. Generally, it’s important to include people from Legal/Compliance, Human Resources, Communication and your operations or revenue-generating business. The Legal/Compliance representative contributes insight into issues such as content retention and acceptable use. The HR representative brings understanding of labor issues and is a crucial beneficiary of the tools. Communication is often in a leadership or facilitation role. Finally, the organization stands to gain the most by keeping revenue-generators innovative, productive, effective and focused on business goals. Meeting their needs is paramount. You may have others who bring value to the process. Just don’t let the team get too big. And, remember, the team that develops governance may not be the same team that leads it post launch/relaunch. You can find more thoughts on the players in an old post titled Make up of your digital workplace governance team. Here’s what the resulting decision tool might look like. A sample strategy lens created for a client. This brought together the most important elements of the business strategy and made them relevant to the organization’s decisions about the intranet. It’s a balancing act, but one that helps the governance team make good decisions long into the future. I’m happy to answer questions about this technique. I’d also be delighted to have you join the webinar to learn more about governance, particularly what to include, funding models and measurement approaches. Register for the governance session today! Or, get a discount when you register for all four.